When the tax man cometh in Missouri, he takes a smaller bite out of your business wallet. Keeping taxes low has been a hallmark of Missouri state government for the last three decades. Missouri's corporate income tax rate of 6.25 percent ranks fifth lowest in the nation, according to the Tax Foundation, and its overall state and local tax burden of 9.3 percent is below the national average of 9.9 percent. The proposed tax plan, would lower the corporate income tax in Missouri from 6.25 percent today to 4 percent in January 2020, which would be second only to North Carolina among states that levy such a tax. In addition, Missouri has not adopted worldwide or nationwide unitary tax assessment in computing multinational corporate income tax liability. Business personal property tax in Missouri is collected on existing machinery and equipment, furniture and fixtures. Inventory is not taxable. A sales tax is imposed at the state and local level for the purchase of tangible property or taxable services. The state sales tax rate is 4.225 percent, while local jurisdictions can impose an additional local sales tax. Missouri recently signed into law an incentive that could provide exemptions from various state and local sales and use taxes for some new, expanding and replacement data center facilities. This new incentive became effective on August 28, 2015. Missouri also recently phased out the corporate franchise tax over a five-year period. As of January 1, 2016, Missouri no longer collects any corporate franchise taxes. The Chapter 353 abatement is an incentive that can be utilized by cities to encourage the redevelopment of blighted areas by providing real property tax abatements. This benefit provides state sales tax exemptions to qualifying manufacturing companies. These exemptions are possible on items such as machinery, energy, water, materials and more. Data centers may be eligible to receive exemptions from state and local sales taxes associated with a variety of activities necessary to build a new facility or expand an existing facility in Missouri. These sales tax exemptions could include utilities, machinery, equipment, computers and construction equipment and could last for up to 15 years for new facilities and up to 10 years for expanding facilities. The BUILD program provides financial incentives for the location or expansion of large business projects in Missouri. The incentives are designed to reduce necessary infrastructure and equipment expenses. Missouri is committed to supporting business by leveraging its extensive suite of recruitment and training resources. With Skilled Workforce Missouri, the state will identify, screen, and evaluate the right talent to meet your business needs. Skilled Workforce Missouri will provide pre-employment training so your new hires will be ready when your business opens its doors. Skilled Workforce Missouri goes one step further, by skilling-up your existing workforce as new products or technology occurs. Skilled Workforce Missouri can provide resources and solutions that best fit your business. 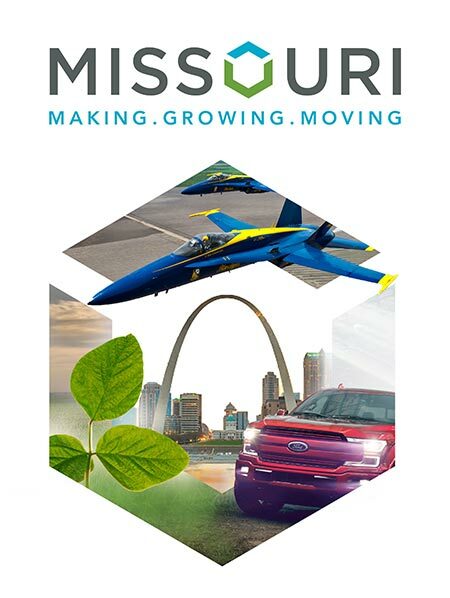 One of Missouri's signature programs to help create jobs and investment in Missouri, the Missouri Works program, offers achievable, flexible, and competitive benefits to companies investing in Missouri. The retention of the state withholding tax on the new jobs and/or state tax credits, which are refundable, transferable and/or saleable make this a powerful business attraction program for businesses that qualify. The program offers multiple categories with different minimum thresholds to fit the needs of almost any business considering Missouri.